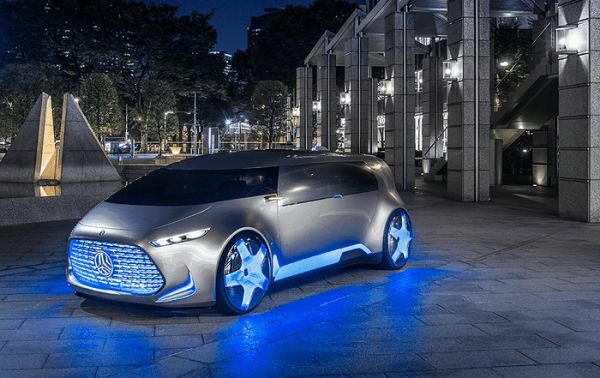 The German make Mercedes-Benz Vision Tokyo Concept car is futuristic, as it will be self-driven. Although primarily a vehicle, the car has features that offer ultimate luxury. Its exterior and interior designing is not only attractive but also compact. It would help the vehicle use up less space and drive itself more adeptly. If you would like your ride to be as comfortable as sitting in a lounge, this is the car you should own. A single glance at the new Vision Tokyo and you feel you are watching a sci-fi movie. The car is drenched in sophistication. 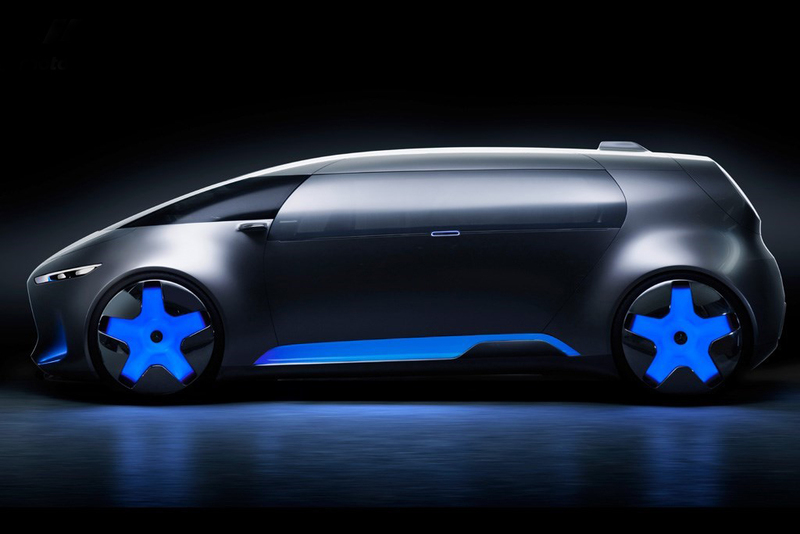 It could be called a minivan considering its dimensions: length 189’’, height 63’’, and width 83’’. The front has glass paneling running seamlessly to either side. The hood is short and the grille is large and wide. The 4-spoke wheels are 26–inch and have cool blue illumination. The windows have screen-printing, which ensures privacy for all the passengers. It is hard to discern the existence of doors, as there are no door handles. The doors will be remotely operated. To open, the doors will glide smoothly upwards and be flush with the roof. The inside look will be fascinating. 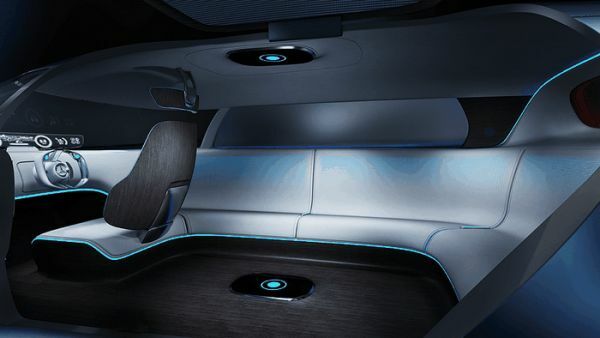 Designed to accommodate 5 passengers, the car will have no seats, per se. Rather there will be a couch, which will remind you of a high-class lounge. The LED screens will have a trendy look, thanks to their wrap around technology. The passengers will be able to enjoy holographic entertainment featuring the virtual reality. The car will have no separate couch for the driver. A camera with a 360-degree view will help it look around and move in coordination with traffic on the road. In the case of any manual driving required, a steering wheel would detach from the console, and a seat would separate from the couch and settle in front of the wheel. The new Mercedes-Benz Vision Tokyo 2020 will be powered by a pair of battery and fuel cell. It will be able to cover 609 miles in one go – battery providing 118 and fuel cell supplying 491. Mercedes has already tested the battery-fuel cell combination on the roads in California and R & D of Silicon Valley and the results have been inspiring. The combo will be charged through induction. 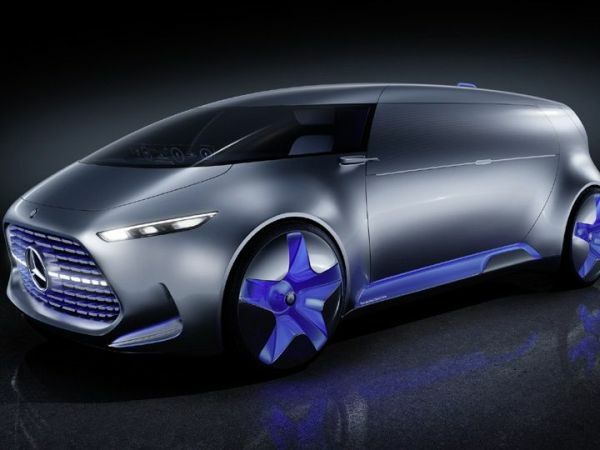 You will be able to be driven around by new Mercedes-Benz Vision Tokyo in 2020. The German automaker has not announced its price yet but is expected to quote one as it moves ahead with its final designing.